brought the company to one of the world leaders positioning in the area. Served as CEO of the Technion Entrepreneurial Incubator (TEIC) for a period of 11 years. Led the establishment and investment in more than 40 companies, such as Prolor Biotech (sold to Opko, NYSE: OPK, for $480M on August 2014), Mazor Robotics (NASDAQ: MZOR, TASE: MZOR.TA, www.mazorrobotics.com), ReWalk (NASDAQ: RWLK, www.rewalk.com), Corindus (NASDAQ: CVRS, www.corindus.com), Regentis (www.regentis.co.il) and many others. Gained a wide range of experience in identifying new technologies and in establishing, directing, and creating value for technology-based start-up companies. Earned his M.Sc. in material engineering, a B.Sc. in physics, and a certificate in business management, all from the Technion, Israel Institute of Technology. Dr. Amir Toren, CTO & Business Development Director - has a Ph.D in Biochemistry and Microbiology from the department of Molecular Microbiology and Biotechnology, Tel Aviv University. Spanning a career of over 15 years, Amir brings extensive experience from the pharmaceutical industry, managing and developing multidisciplinary teams. He has a strong and diverse scientific background and a proven record of team leadership with several biotechnology companies in Israel. Dr. Toren was the CEO of Monterey Bay Labs, a biotech company developing delivery platform technology utilizing marine extracted micro-injectors, which penetrates the skin and actively delivers API’s into the epidermal skin layer. Prior to joining Monterey Bay Labs, Dr. Toren served as the CEO of Coeruleus a seed company developing an antidote to reduce morning drowsiness that is secondary to sleep medications, VP Business Development at Pluristem Therapeutics and R&D Director at MediWound. Dr. Toren is the author of 20 scientific publications and 3 book chapters and inventor on 15 patent applications. Dr. Toren’s interdisciplinary experience provides cross-functional direction for R&D, clinical, financial, business development and commercial activities. Nizar Mishael, Managing Partner & CFO, is the CFO for all portfolio companies. Nizar manages the finances of these companies with strong leadership, closely following the budget, making sure the companies receive their full government money, and ensuring they set goals and achieve what they should (and when) with their funds. Nizar takes an active role with follow-on funding and handling complex investment transactions. It's with his capabilities that NGT3 and its portfolio companies receive the maximum support possible from the government. Nizar is a certified CPA and holds an MBA from Tel Aviv University’s Recanati program. He joined NGT in 2006. Tamar Kedar Harris Investor Relations, joined NGT in 2004 as COO. Tamar has been involved in a number of aspects of managing a portfolio of start-ups, including operations, business development, and investor relations. Tamar brings extensive experience in international relations and networks to the NGT team. Tamar received her MBA from the University of Haifa and her BA in economics from Tel Aviv University. Shefaa Khamaisi - Legal secretary of the BOD- Began her career at NGT in 2017 As NGT3's director of operations and in-house attorney. Shefaa is the legal secretary of portfolio companies, and reviews contracts and agreements for the companies. Shefaa is a certified advocate that holds an LLB (Law) and a BA degree in Psychology, and received her LLM from the University of Haifa. Lina Totry Ghrayeb, Accounting assistant Began her career at NGT in 2003. Responsible for the bookkeeping , salaries and portfolio etc. for the managing company. Lina hold BA in Statistics and Special Education from the Haifa University. 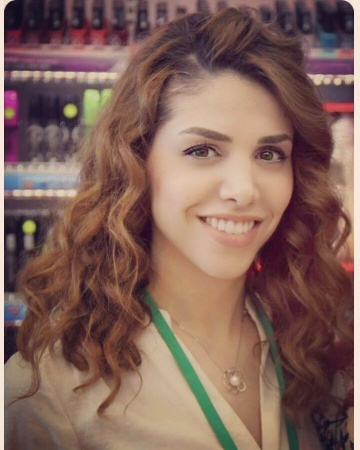 Haya Fahoum Darawshi ,Administrative Manager Joined NGT in 2015, holds a BA in economics and management from the Max Stern Yezreel Valley College.